The Timberwolves are off of a home win versus Brooklyn but have lost 6 of their last 7 road games. Also, Minnesota has a big road game at Toronto on deck for tomorrow night. In other words, facing a bad Atlanta team tonight is unlikely to bring out the best in the T-wolves. This is especially true considering they won both meetings last season by double digits. The Hawks come into this game having lost 3 straight but, prior to that, Atlanta was on a 5-2 ATS run. Also, the Hawks are 9-4 ATS this season when they enter a game on a losing streak of 3 or more games. Also, Atlanta is 14-5 ATS against non-conference opponents and that includes 5-1 ATS versus Northwest Division opponents. 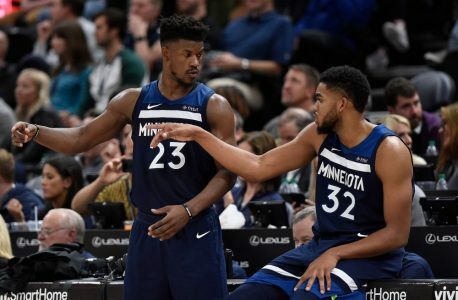 The Timberwolves are 6-13 ATS against non-conference opponents and that includes 1-6 ATS versus Southeast Division opponents. Minnesota gets caught looking ahead to the Raptors while the Hawks (losers of 3 straight) prove to be the hungrier team.